We speak to to Casper co-founder and MD Constantin Eis about how the company has brought all the benefits of buying online to the mattress industry. In a world where most items can be conveniently bought online with a click and delivered to your door the next day, the mattress industry for a long time lagged behind. Largely sold locally from physical stores, consumers weren’t able to shop around, or access the convenience and customer service associated with online retail. However — leading a growing group of similar startups such as Simba Sleep and Eve — Casper, which launched in 2014, has been shaking up the previously staid sector. Co-founder Constantin tells us more about how investing in customer service, storytelling and product development is helping the company thrive. How does Casper strive to make the online mattress buying process easier and less mystifying for customers? I think the first key driver behind the success of Casper is that we have circumvented the typical experience of buying a mattress through a traditional retailer. What was a confusing, expensive and lengthy process has become something that you can do in minutes from your phone or computer. 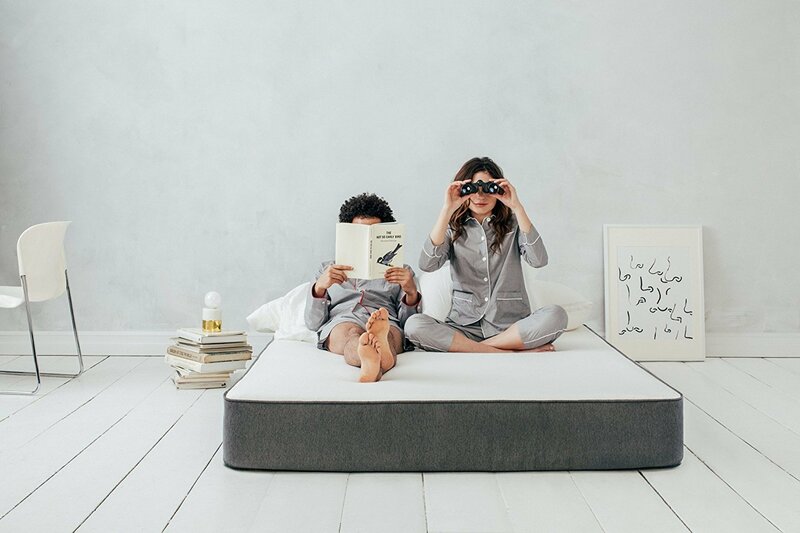 There’s no guesswork, no wondering if you’ve found yourself a good deal, no jargon — just one perfect mattress delivered straight to your bedroom. Trying out the mattress at home is highly beneficial to the consumer. Why was Casper Labs set up, and can you tell us more about how Casper uses customer engagement to improve its products? As Casper’s dedicated research division, Casper Labs is a vital connection between our product design team and a community of thousands of people who are dedicated to advancing the science of sleep. We created it and let anyone join on the basis that they can help advance the development of our products. After the first six weeks, we had 15,000 people sign up. They’re the experts, and we listen. With so many mattress startups and imitators entering the market, how does Casper stay a step ahead? And what are the biggest challenges facing your industry? Our real competition is still the corner store, because 90% of mattresses are still bought in person. The competitive advantage we’re seeking is to deliver an amazing experience over and over and over again. The analogy I give to our customer experience team is that we’re trying to develop the Michelin-starred restaurant of companies. It’s comparatively easy to cook a meal in your own home once for your friends, but to do that 500 times a day, or 5,000 times a day, 365 days a year, is a totally different problem. When you care, when you have the right values, and when we can train people to do it over and over and over again, so that our millionth customer has the same — if not a better — experience as our 10th one, that’s going to be the reason we win. Why is content and storytelling so important for the brand? We always focus on surprise and delight with our content, because we know that this is what will help form an emotional connection between ourselves and our consumers. A lot of companies go out with a bunch of bravado and say, “We’re the bomb. You should listen to us.” But all that’s going to make people do is question you and your integrity. If you can be quirky and fun and realise that you kind of have to be a little bit vulnerable and let people discover it on their own, then people will have a lot more fun. They’ll enjoy your brand a lot more. They’ll want to interact with you. Take our latest project in Europe: Generation Bed. We’ve been watching with fascination over recent years as ‘bed’ has grown into something much more important than a place where you go off to sleep. It has become a creative lifestyle space, an emotional sanctuary and the coolest place to spend a Saturday night. So we put it to the test — we quizzed people across the continent about their bedtime habits to ensure we are the experts on sleep culture. And where do you see the biggest opportunities? There’s a cultural change happening right now — sleep is become the next great lifestyle frontier, which is in part due to brands like Casper. We believe, long term, the more people are invested in sleep, the more they will come to us. As sleep becomes part of a lifestyle, the industry will continue to flourish!